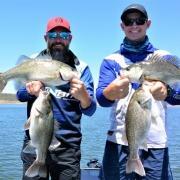 The hot weather and afternoon storm buildups bring on some awesome oportunities for big bass and yellowbelly. 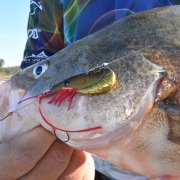 With the onset of summer, this weather pattern is quite common and it really brings the native fish on the bite. 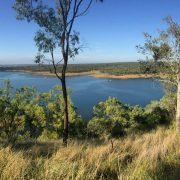 If you’re an avid troller, from now through to February is the best time to dust off those deep divers and head to the South Burnetts dams to get amongst some great native trolling action. 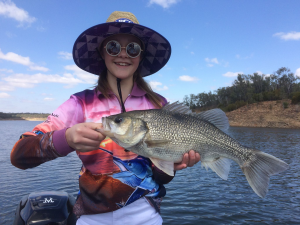 Lake Boondooma is a great place for the younger generation to learn more about freshwater fishing. 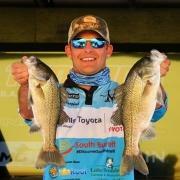 Sometimes this fishing is that hot they come aboard 2 at a time. Reardo catching his bag in 1 cast. 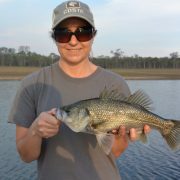 Chantel with a cracking bass from some suspended fish at Lake Boondooma. 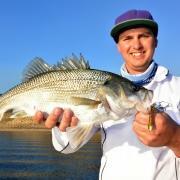 Lane Ferling with a 48cm bass caught slow rolling a ½ rigged soft plastic. 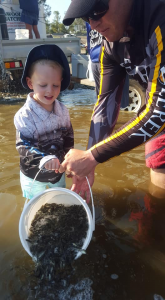 The fish stocking for both dams is still very much alive and well with another massive stock of bass put into Bjelke-Petersen dam this weekend. 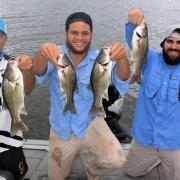 46 000 Australian bass were released into BP dam. 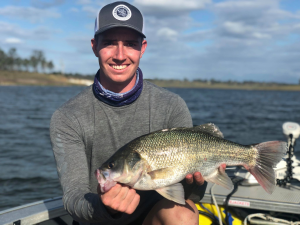 Boondooma Stocking Association also released 80 000 bass into Boondooma a couple weeks ago, so it’s a great boost for fishing in the South Burnett. 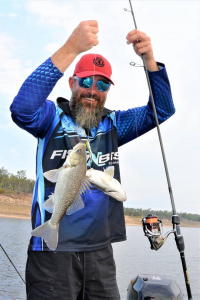 It’s great to see our stocking associations working hard to make this happen because without them we don’t get to catch the fish that we really love chasing. 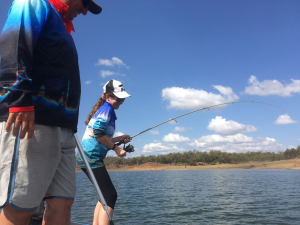 https://www.discoversouthburnett.com.au/wp-content/uploads/2018/12/fishing-report-dec-3.png 1536 2048 Stacey Perrett https://www.discoversouthburnett.com.au/wp-content/uploads/2018/01/Discover-South-Burnett-RESIZE-300x185.png Stacey Perrett2018-12-03 13:02:562019-01-07 12:59:05Summer heat brings our freshwater fish on the bite! 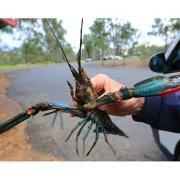 Big Natives start to play in the South Burnett.